After a day of throwing brick-bats at each other, both Barca and Chelsea fans have slowly settled with the reality of the situation at Ground zero. Even the Spanish and English media are in the same mood - the article by Kevin McCarra in the Guardian is a prime example of that. Chelsea fans after a night of Euphoria has slowly understood the dangers held in the second leg. Barca fans and media after a night of dissappointment has settled to accept the fact that a nil-nil result is not at all a bad result as been made out. There were a bit of dissappointment in the Spanish side after the draw, but that was mainly due to a fear that a repeat of last year was on the cards. Last year Manchester United came to Camp Nou, defended their life out and returned with a goal-less draw; they then won at home to kick Barca out of the Champions League. 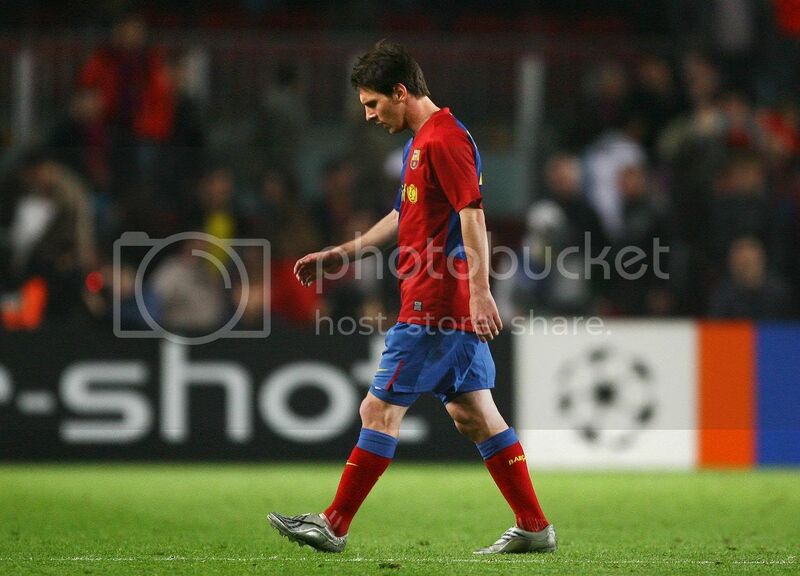 But then that Barca was different, it was a Barca which was struggling in all fronts and finished third in the league. In that match also Manchester United played the defensive game but was lucky that Barca gave them a oppurtunity to score and Paul Scholes neatly obliged. But this Barcelona side is different as they are on top of their game. Indeed they were denied by absolute perfect defending by Chelsea. They didn't see many opening but they did create an almost perfect four opening, only to be denied by Cech and a lack of cool heads by their own players. But our midfield, eventhough did not create much opening was perfect in ball possession. People, especially English media will say - "What's there with Ball Possession, if you can't get the goals!". But there were positives to look at Stamford Bridge from the performance of our midfield. Chelsea midfield had Essien, Malouda, Lampard, Obei Mikel and Ballack in their ranks and we had the likes of Iniesta, Xavi and Toure. Out of the three Toure is the only one who has a physical built which could challenge any of those midfielders, but to their credit Barca midfield did creat some trouble for Chelsea, especially Iniesta. Mikel might have kept Xavi quiet from creating chances but not from retaining possession. The two reason why Barca failed to create much of chances were the decision by Chelsea to lay deep in their half and most importantly a lack of pace. FC Barcelona played the game at a lower pace than they normally used to. This has to be predominantly attributed to the poor game Messi and Eto had. But with the tie remaining at 0-0, we can expect Chelsea to open up a bit towards the end of the second tie. Chelsea's startegy would be the same as the first leg and to neautralise that we have to take extreme caution not to give Cheap balls away to Chelsea at decent positions. If we manage to do that Chelsea eventually had to open up, giving us space to exploit. For what all Chelsea players and English media might claim, in football you have to score goals to win. And that makes the tie evenly poised. NB: You will here claims from English media and Chelsea players about how they are going to attack Barca at Stamford Bridge. 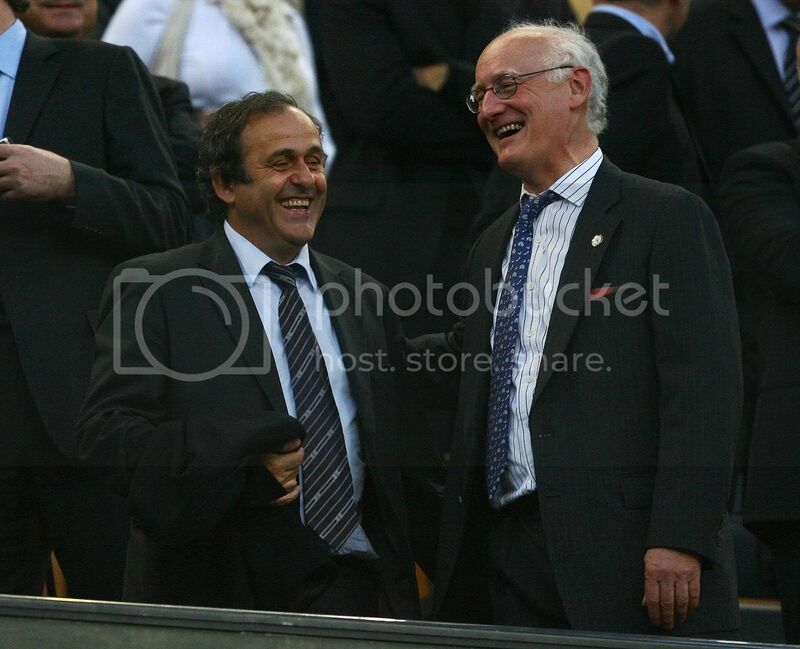 Don't give a damn to those, as we all know they will start playing the same way as in the first leg. Valdes - 7.5 - Had kind of a quite night apart for the double save against Drogba. That denied Chelsea an away goal. How valuable was the save we can say only in the second leg. Alves - 7 - Was theatrical throughout the match. But defended well. He should stop his unnecesssary play acting as it cuts the rhythm of the side. His crosses were poor apart from the one which set up Bojan header. Marquez - 5 - Not much to do throughout the match. 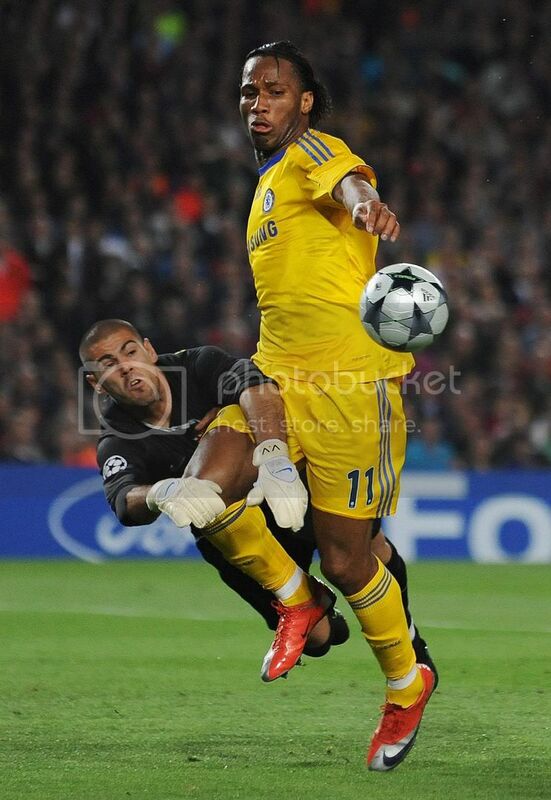 But his mistake which put Drogba infront of goal could have been worst had Valdes failed to deny him. And the night was made worst by his injury. Pique - 7.5 - Decent performance, especially against the might of Drogba. But like his partner he also gave away the ball in a dangerous position. Abidal - 7.5 - Solid performance. 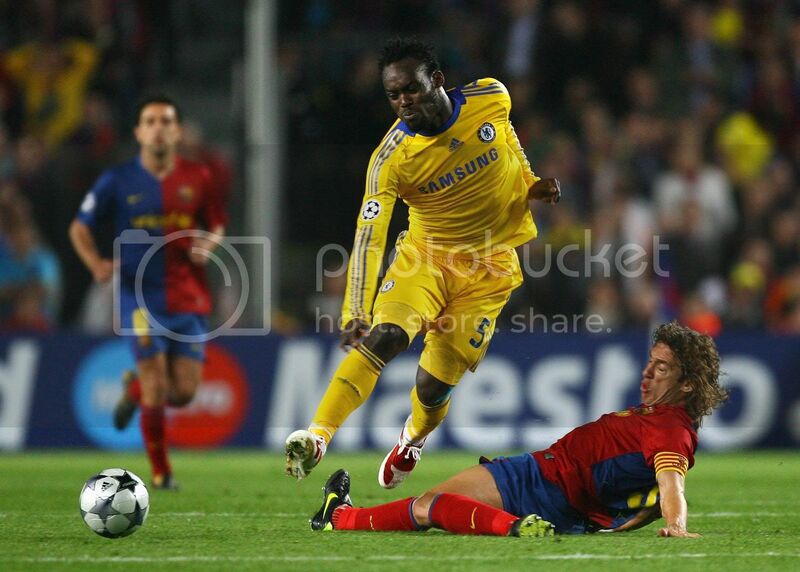 He was good in the left flank cutting down Essien's every effort. Most probably will have a greater job in the second leg. 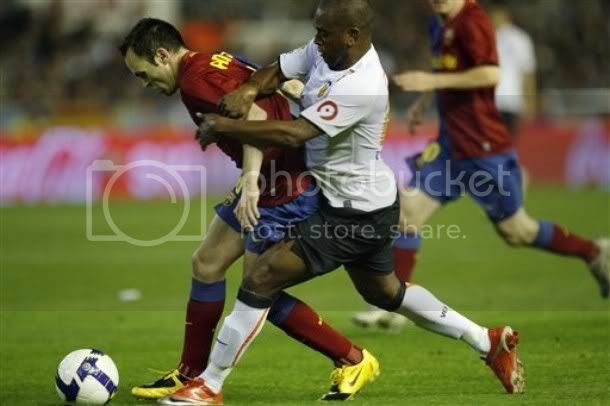 Xavi - 6.5 - Obei Mikel marked him out of the attack. Could not find the usual self in attack, but was good in defense and regaining possession. But in a high profile encounter like this we expected much more from him. Toure - 7.5 - Solid as Usual. Cut off most of Chelsea's attack and always won well against a defensively minded Cheslea midfield. But held the ball a bit longer when Barca ventured to attack. 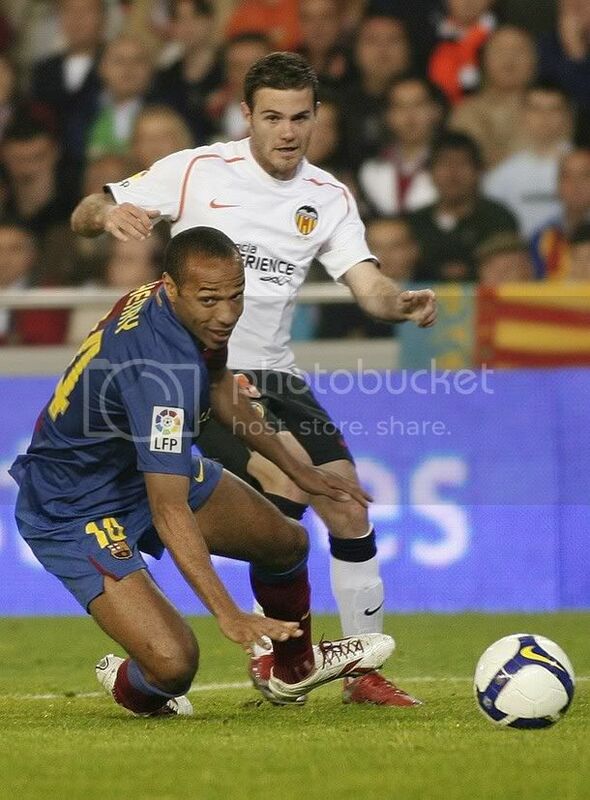 Iniesta - 8 - Was decent in attack and defense. May not have created havoc as expected. But was a constant menance for Chelsea. He was the only one in our attack who used a bit of imagination. Messi - 6.5 - A bit of run here and there, and some shots from outside box, that summed up Messi's day. Bosingwa's decision not to get out of their box meant he had no space to maneouvure with. 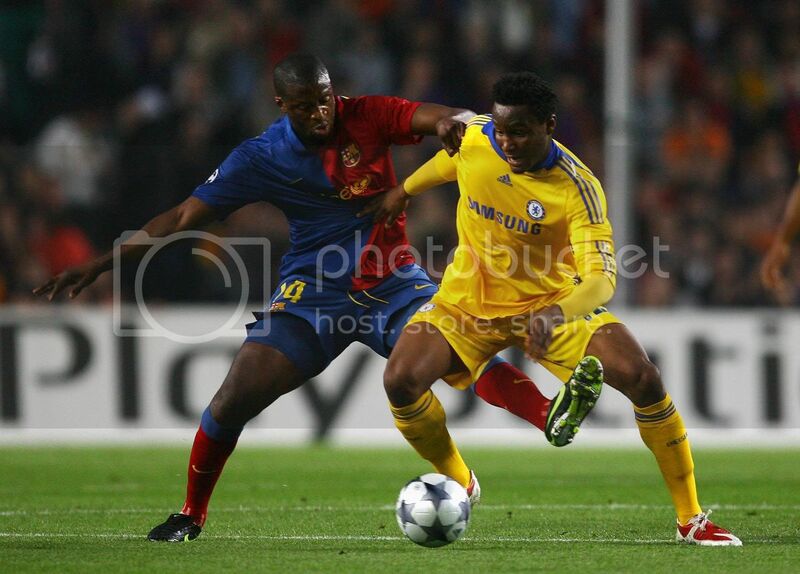 Eto - 6 - Never linked well with any of the players. But created a gem of a chance, should had the composure to pass the ball to Henry who was left unmarked. 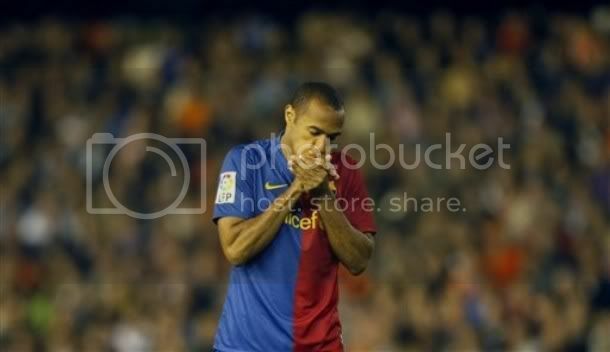 Henry - 6 - Not a great performance and faded rapidly after the injury. But did troubled Ivanovic with his pace early on. 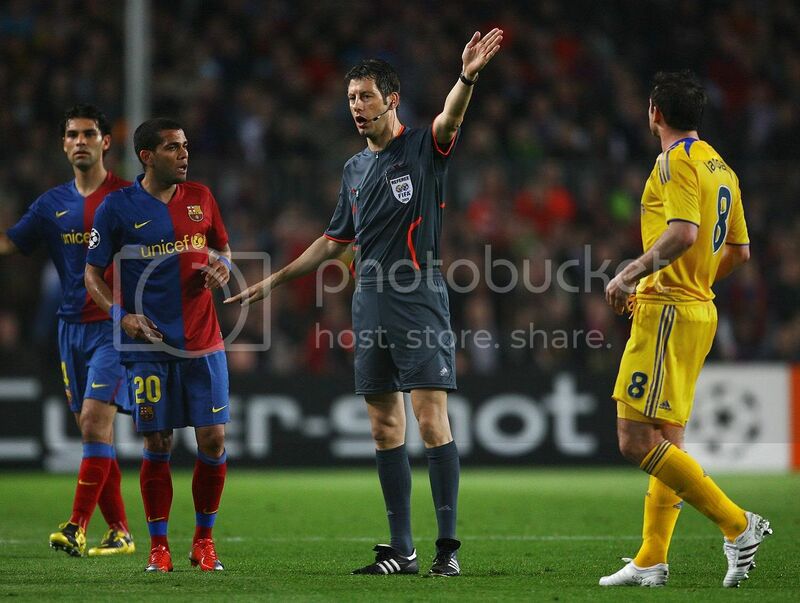 Puyol - 6.5 - He looked confident when he came in and almost had a good game but for that yellow card. Now he will be missing the return leg. Bojan - 6 - Should have done better with the header, otherwise looked lively than Eto. Hleb - 6 -Had a great chance but was denied by Cech. For the first time in this season, FC Barcelona were unable to score a goal at the Camp Nou. A boring but disciplined Chelsea held FC Barcelona to a goal less draw, now they have the advantage of playing the next match at their home. Both the coaches had earlier promised an open encounter but Hiddink realised early that attacking against Barca at Camp Nou can be of dangerous proportion. He send in a formation whose first look suggested that the only goal Chelsea had was to deny FC Barcelona a goal; and have to admit that they achieved the same. FC Barcelona player's post match comments had a touch of frustration to it, but they should really remember that a nil-nil result keeps the tie very much open. That means Chelsea cannot afford to park the bus and watch the game; they have to get out of their half and try to score a goal. Only thing we should be careful would be, not to allow a silly goal like the scholes one last season. If Chelsea venture forward we will have our chances and it was proven right by the two clear chances we had towards the end. But the problem for Barca is that within the next eight days they had to play two high profile away tie, which will define our season. To make matters worse, Marquez has been ruled out of the rest of the season with a knee injury and Puyol is suspended for the return leg. 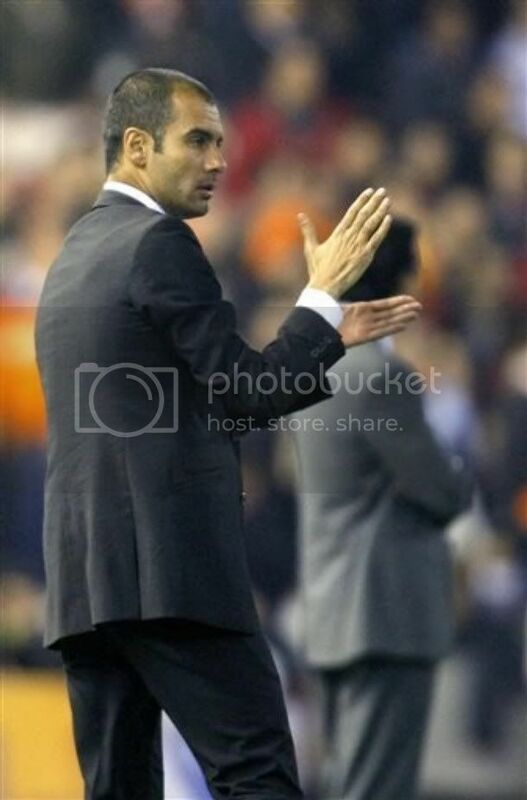 Guardiola decided to drop Puyol for Marquez in the defense and the rest of the team was as expected. 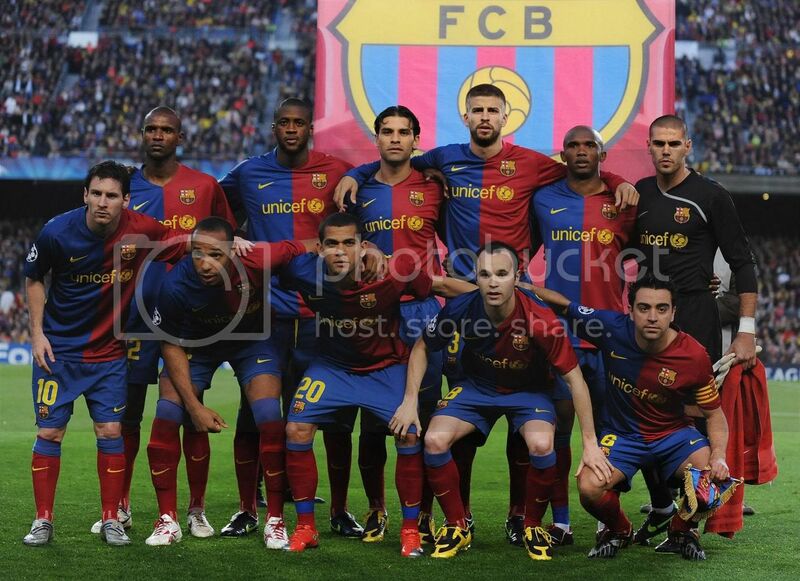 Valdes kept the goal; Alves, Marquez, Pique and Abidal formed the defense. Xavi, Toure and Iniesta formed the midfield. Messi, Eto and Henry formed the attack line. The Chelsea started the game well. In the 4th minute hit a shot from 25 yards out wide of the goal. That was really the only time we can say Chelsea created something. 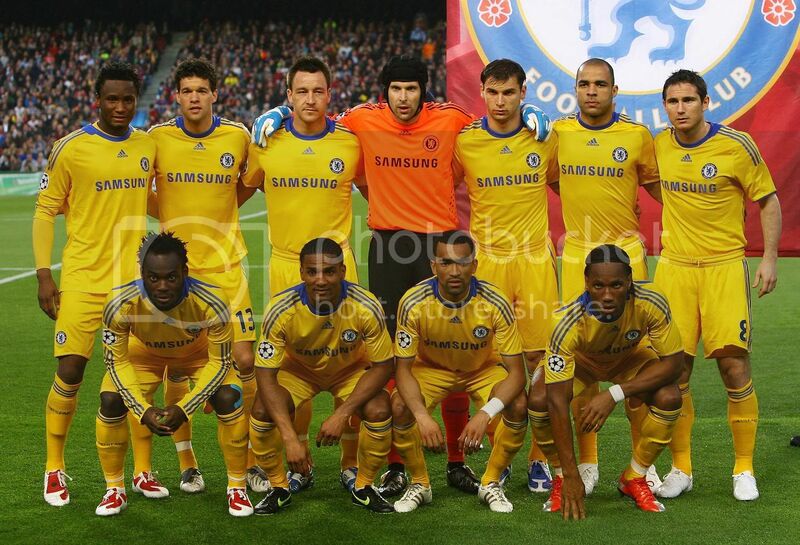 But Chelsea held their formation well and restricted Barca to long range effort. 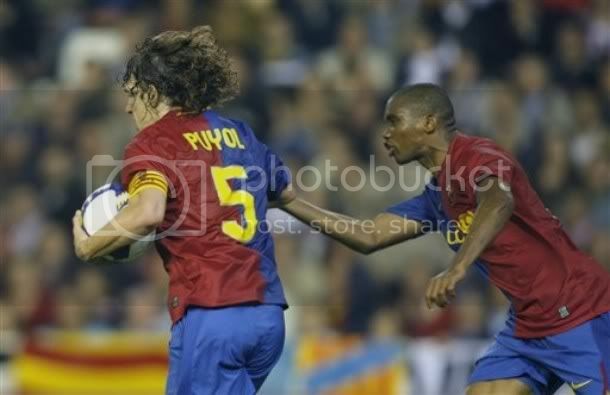 In the 18th minute Eto shot wide after Xavi laid of the ball to him from an Iniesta pass. Messi and Xavi shot wide from outside in the 20th and 28th minute respectively. In the 31st minute Henry tested Cech with a shot from outside the box but Cech was upto the task. In the 34th minute Cech brought out a good save to deny Henry from outside the box. 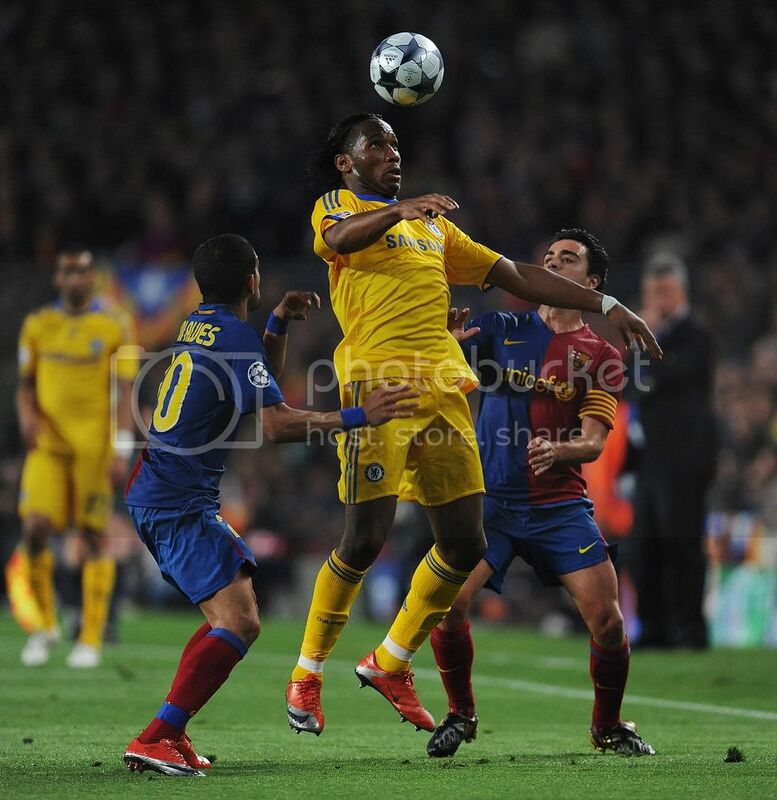 Chelsea meanwhile was trying to feed Drogba with long balls without much success. In the meantime Alex and Ballack got themselves booked for stupid fouls and Toure also got into referee's book for arguing. Then in the 39th minute Marquez nearly conceded the goal when his back pass allowed Drogba to get ahead of him and have a clean shot at goal; Valdes who is one of the best in one-to-one pulled out a double save to deny Drogba. 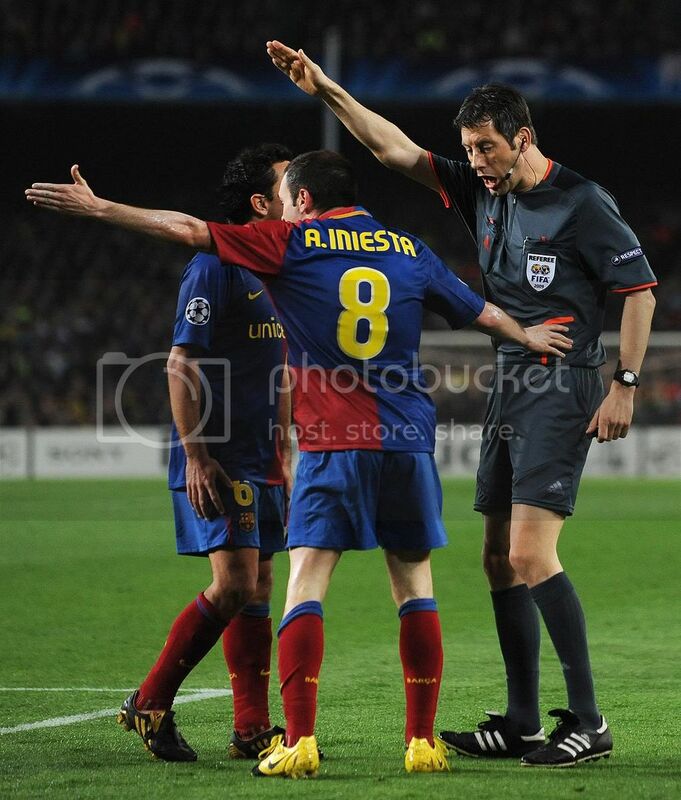 Barca immediately responded with Iniesta releasing Eto for a run on goal but the linesman incorrectly flagged offside. The second half started the same way with Chelsea venturing forward to see whether they can have a go at Barca goal. Once they found that it is difficult , they retrieved back to their shell and defended all the night out. But for Barca the half started horribly. First Henry was injured in the 48th minute from a whack from Alex. Then in the 50th minute went down after it looked like he has twisted his knees. Guardiola had to bring in Puyol for him. 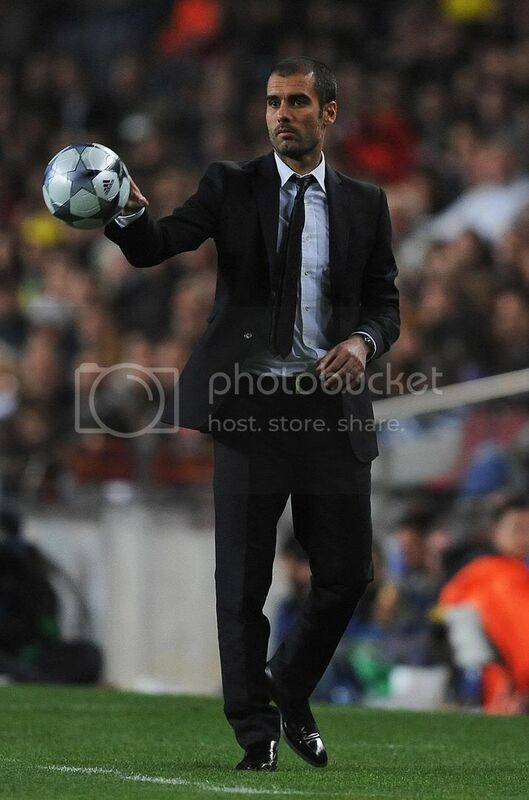 In the 58th minute Pique released Alves with a great ball into the box, but Cech came forward to clear the danger. 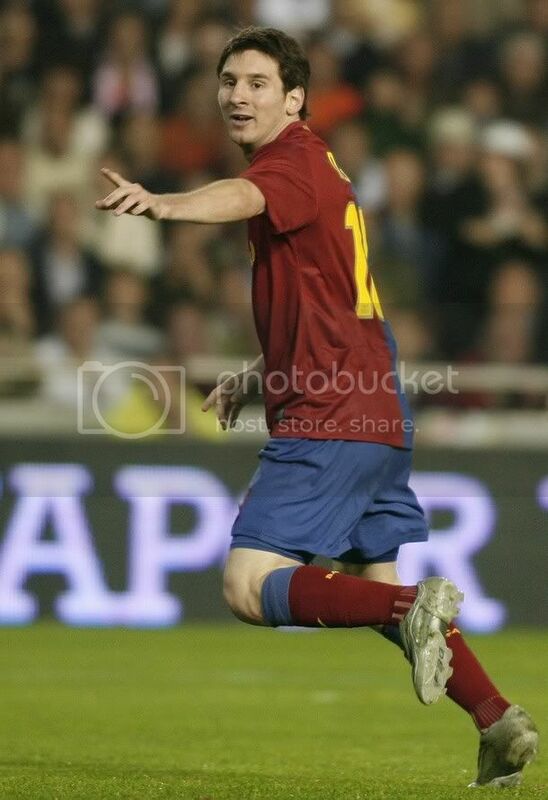 Then in the 59th minute Messi's volley went high from a Xavi corner. Next was the opportunity of Alves to test Cech in the 62nd minute, but Cech did well to block a powerful Alves shot. Then in the 68th minute Eto who had a quiet night till then, turned past Alex brilliantly in the halfway line and fed the ball forward through Terry's leg and stormed forward; Eto then cut past a back tracking Alex but his shot was saved by Cech with his out-stretched leg. He should have looked at an option of passing the ball to Henry. Then in the 74th minute Eto's great pass found Henry in the box in a promising position, but Henry was pulled down by Bosingwa but the referee overlooked that foul. We had a clear cut case of a penalty there. Towards the end of half Guardiola brought in Bojan and Hleb in place of Eto and Henry respectively. Both of them had clear cut chance to put Barca ahead. The best fell to Bojan in the first minute of injury time, but he could only head high from an excellent cross from Alves. Then in the third minute of injury time Hleb had a great chance but was denied by excellent keeping of Cech. FC Barcelona would have to find a centre defense combination against Chelsea at Stamford Bridge. The best option would be to have Abidal and Pique as the CBs. If our midfield controls the game like they did in Camp Nou, the centre defense pairing will not be put under great pressure. 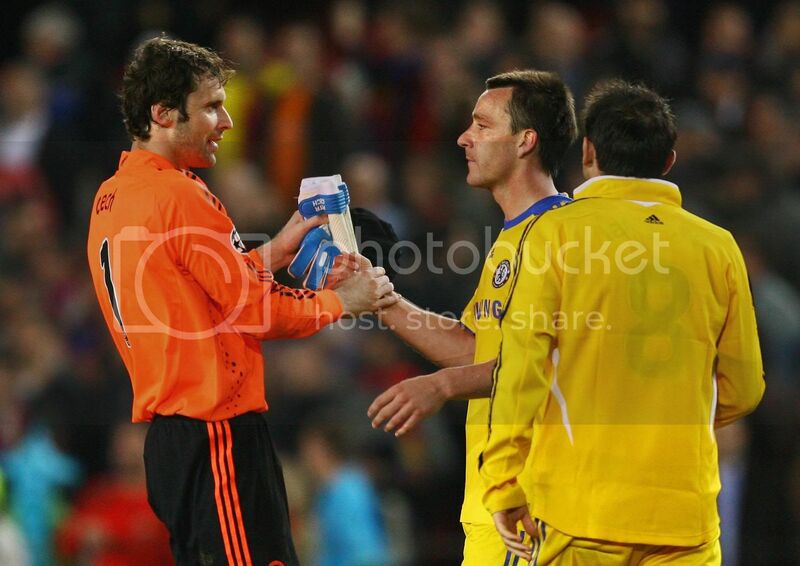 But again Barca players have to be at their best at Stamford Bridge. Everyone expects the game at Stamford Bridge to be an open one, but I doubt. Atleast the first half will resemble this match and if we can remain without conceding a goal the Chelsea will open up. They will not prefer a penalty shoot-out as they may not be that confident with after the Moscow debacle. But I believe Barca has a better chance in the second leg than Chelsea. But we would definitely prefer a referee who is not so much in for physical play. The mouth watering Champions League clash between FC Barcelona and Chelsea is upon us and if you are still sleeping wake up. For FC Barcelona this is a much win match and they should also make sure that they don't concede against Chelsea. But with FC Barcelona's defensive fragility and aerial weakness, that is going to be difficult. So we have to realistically hope for Barca not to concede more than one goal and most importantly hope that we are able to have a two goal lead. Stamford Bridge would be a difficult place to score a goal, so we have to grab the tie in this match. 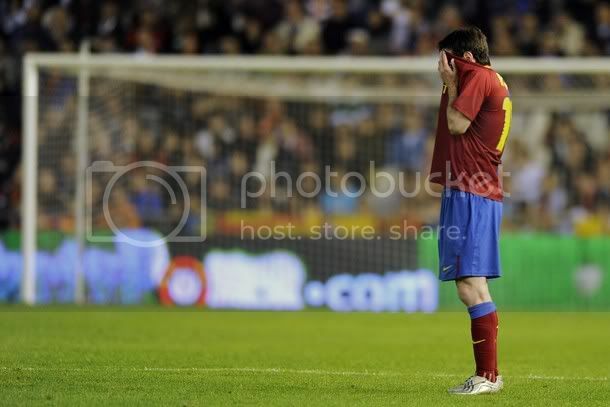 FC Barcelona surely would have preferred to get into the match with a win at Mestalla, but that was not the case to be. 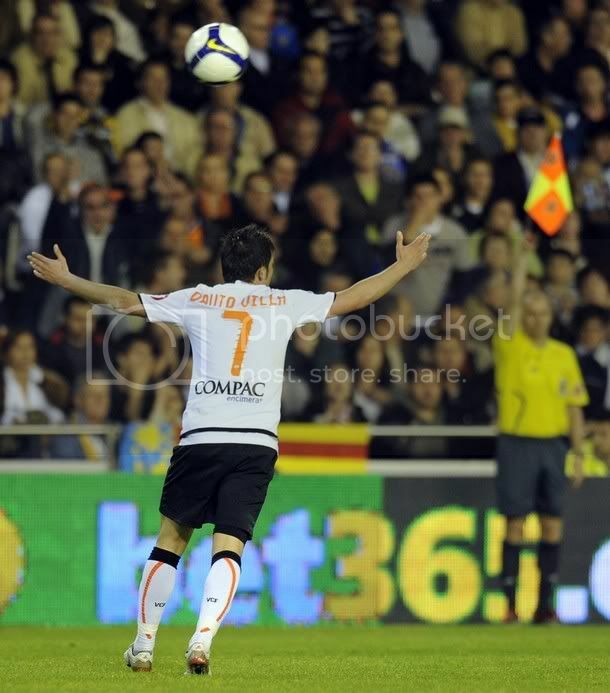 But the tough draw at Mestalla might have given them enough preparation for the tough encounter against Chelsea. 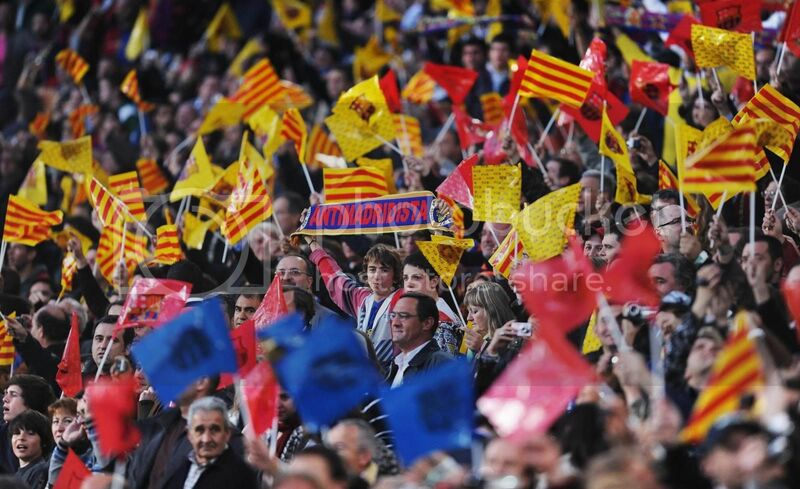 Especially the fight and spirit shown to grab a vital point against Valencia would have done the team some good. There is nothing to separate between these two teams when it comes to head-on-head record. But FC Barcelona definitely hold an advantage against team's managed by Guus Hiddink. Hiddink have only managed to win twice against Barca in nine encounters. So Barca will be hoping that he keep in line with that record. Guardiola will have only one decision to make as far as team combination in tonight's line-up. 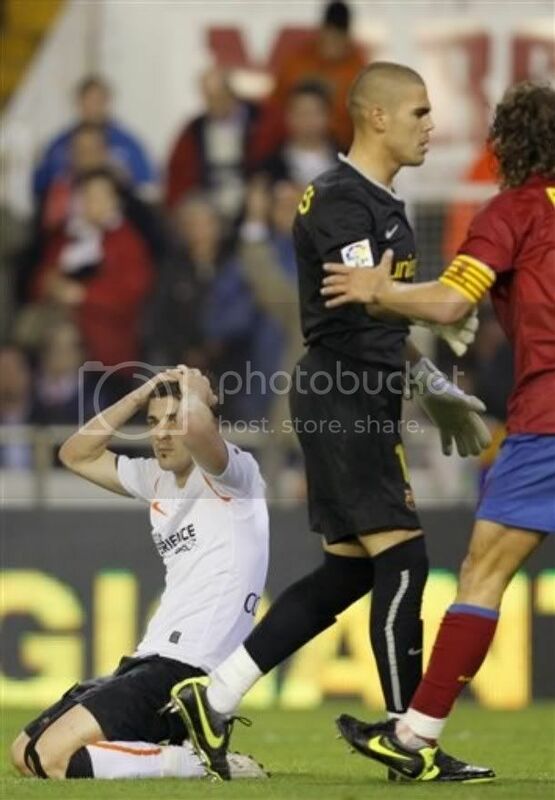 Puyol had a terrible night against Valencia and the huge sentiment in the blogosphere is to rest him and play Marquez. I don't subscribe to this thinking. There are three reasons for this - first the last time Puyol played was against Getafe as Left-back. Now he has been shuffled all over the place in the defense and I have belief that he will come good in this match. Secondly, I have already said that our defense works well when our midfield is in control; against Valencia our midfield failed and our defense simply wilted. Thirdly we want our Captain on the field for such an enormous encounter, absence of Captain definitely will send in a negative message to the rest of the team. So I expect Puyol and Pique to start as centre backs infront of Valdes. Dani Alves and Eric Abidal should play their usual full-back roles. The midfield is the most important section for tonight's encounter and Guardiola should be shot if he decides to have any other formation that a Xavi, Toure and Iniesta in midfield. The forward line-up has to be made of Messi, Eto and Henry. Eto has been poor in last match but we need him there to lead the attack. The main battle will be held between Barcelona's midfield duo of Iniesta and Xavi against Chelsea's. They both have to be in top form if Barca needs to win this game comfortably. Messi has been not in his usual top form for last couple of matches but should be motivated to play well against Chelsea. Yaya Toure would be the key to stop Chelsea's direct play and guard the defense from extreme pressure. Another key battle will be between our centre back and Drogba. 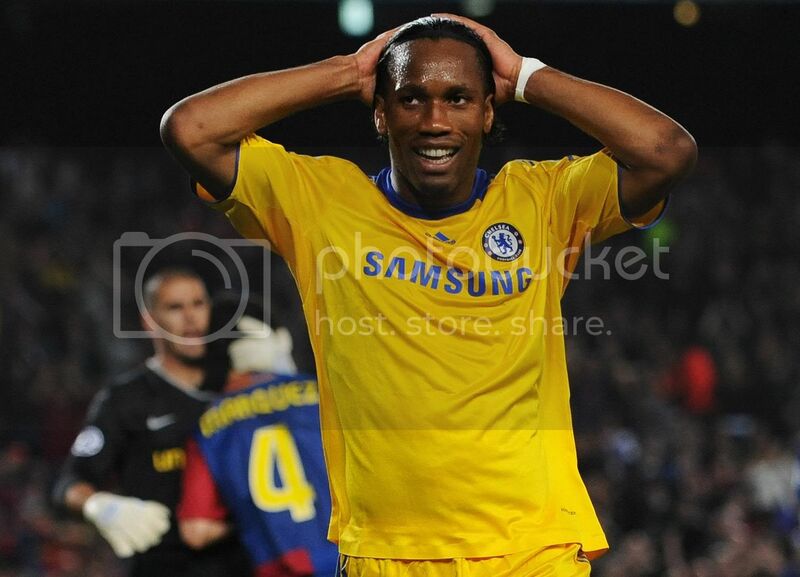 Drogba has done always well against Barca and would be looking to repeat the same. But one thing is for sure anything other than a victory will put Barca seriously on the backfoot in the Champions League and maybe in the league also. I predict a very tough match but Barca should emerge victorious by 3-1.